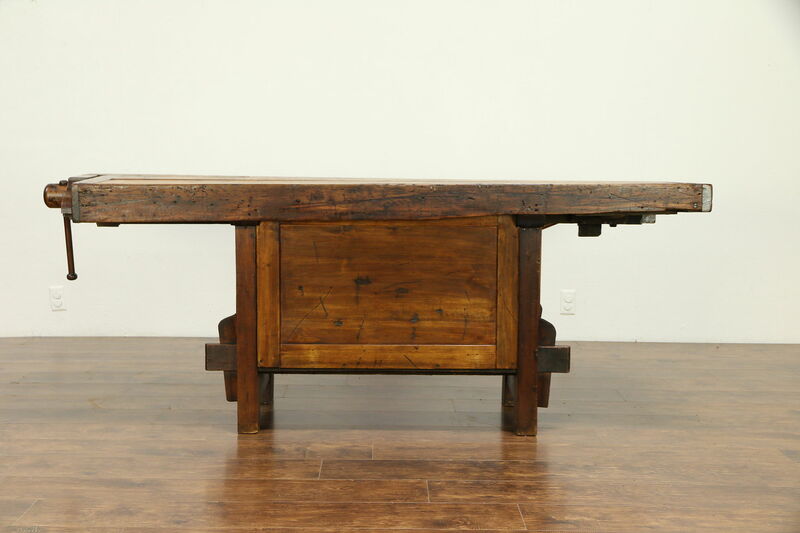 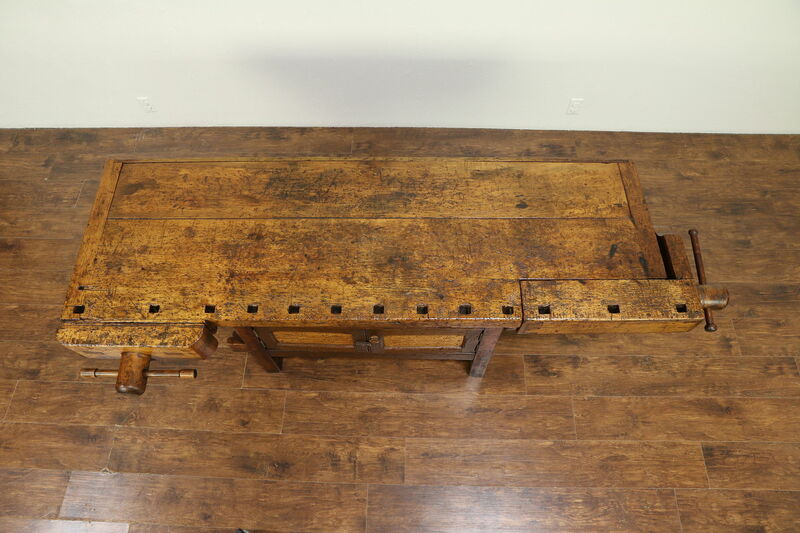 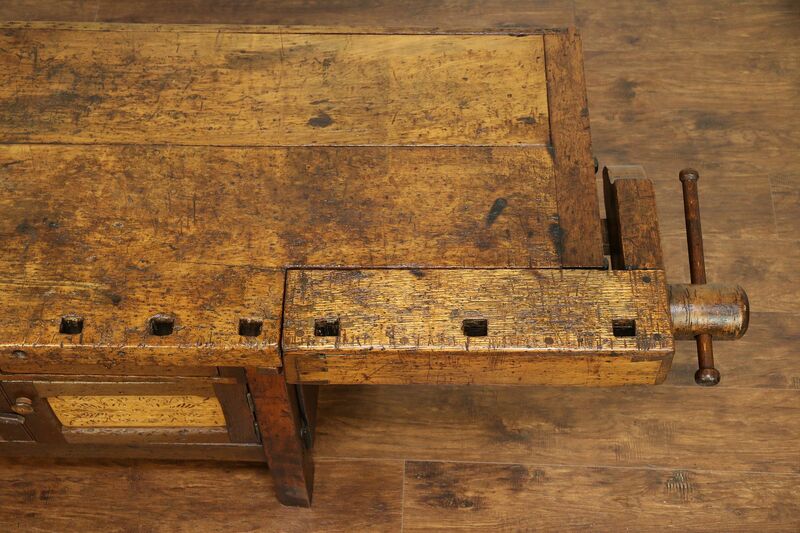 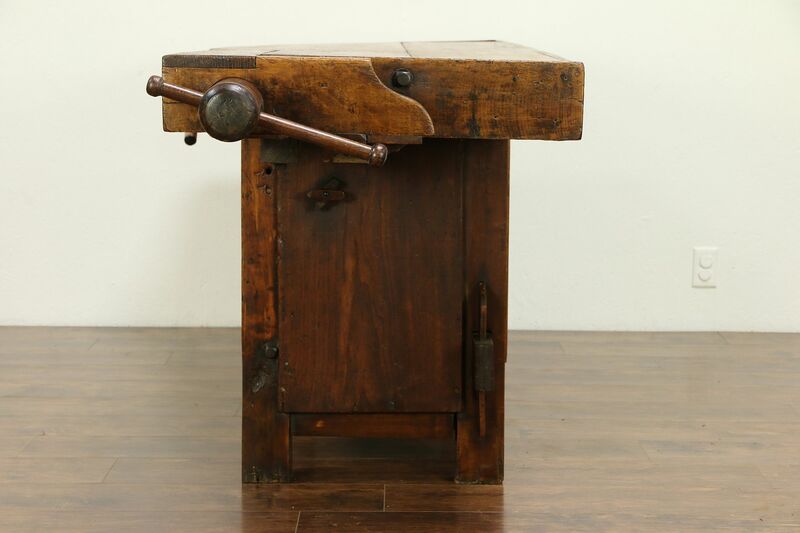 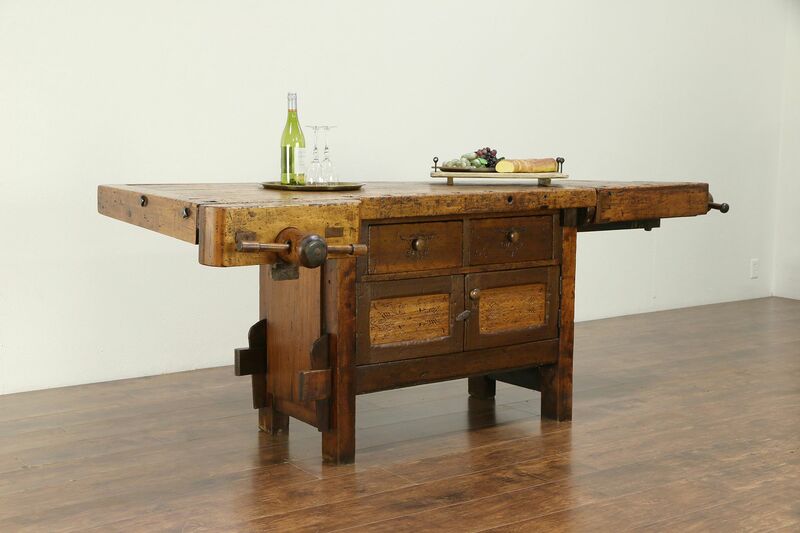 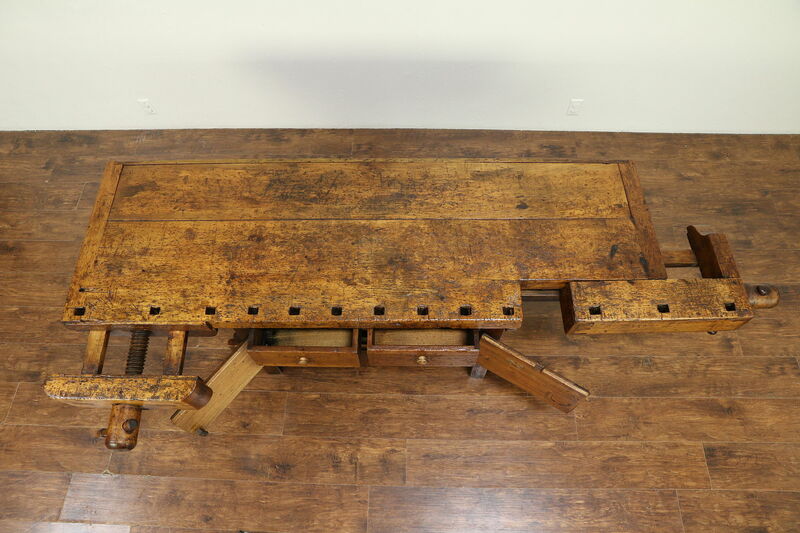 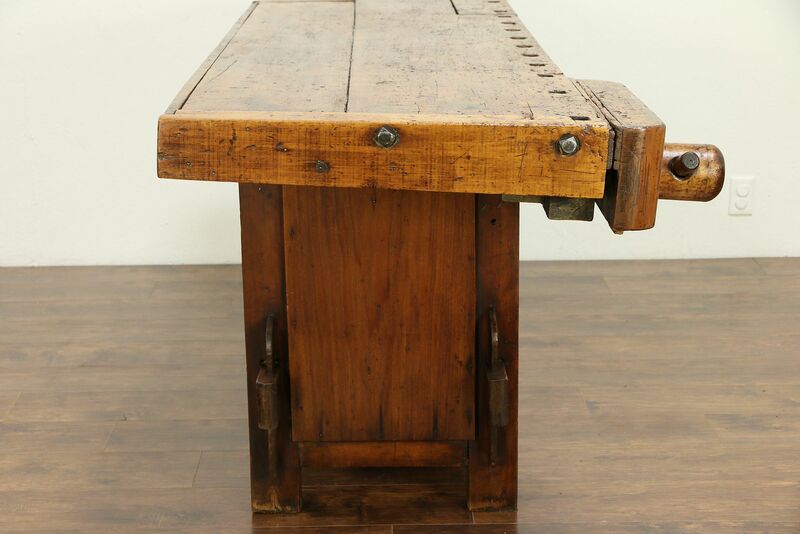 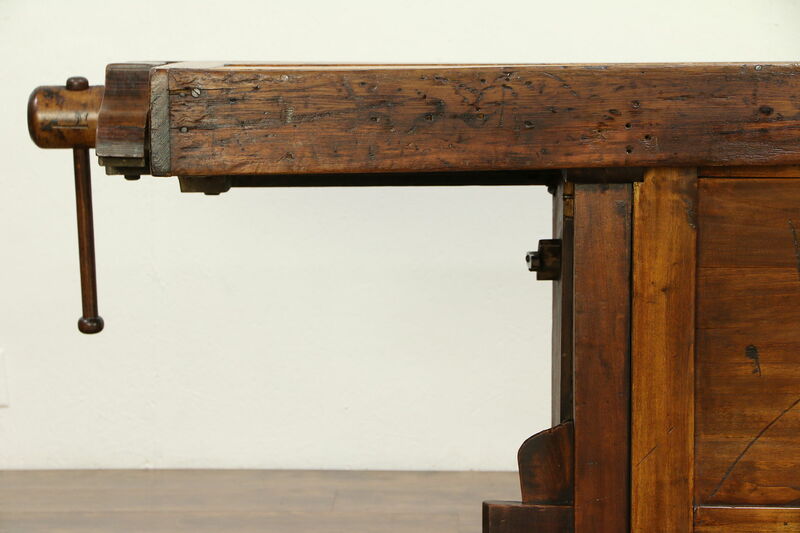 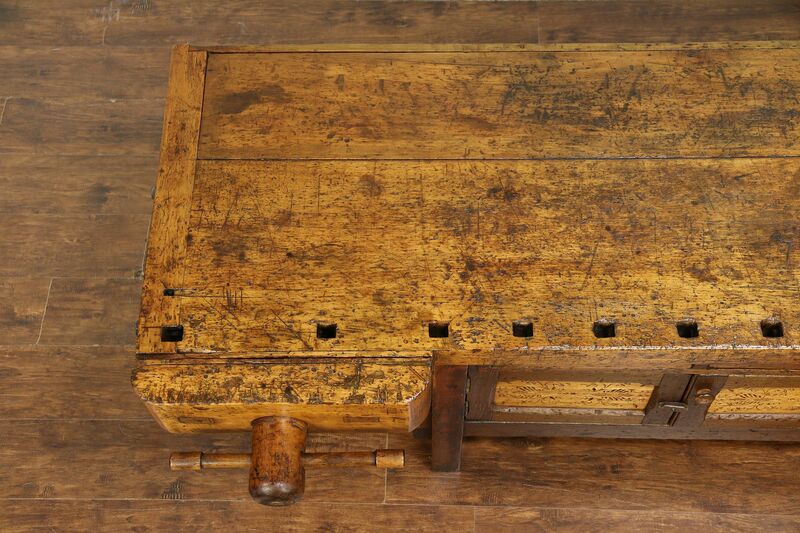 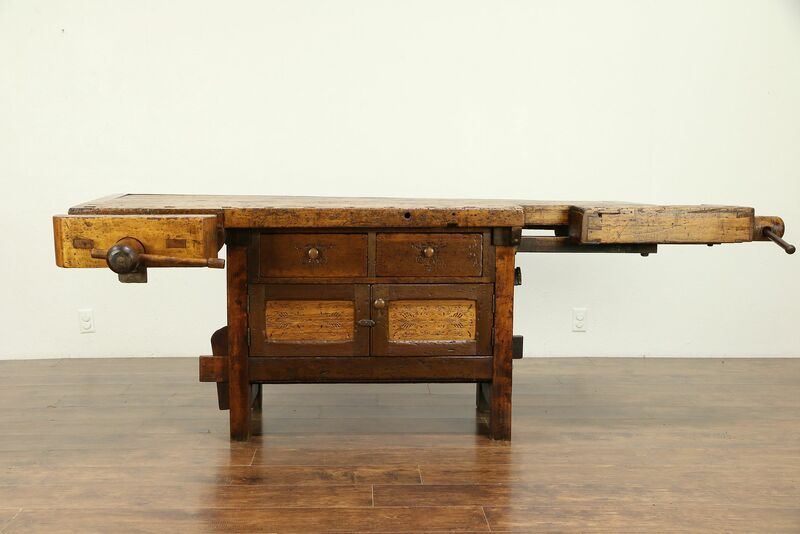 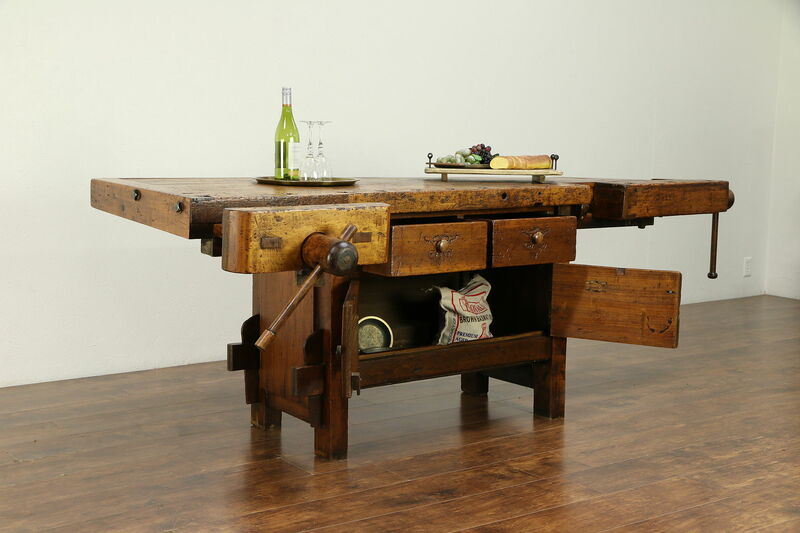 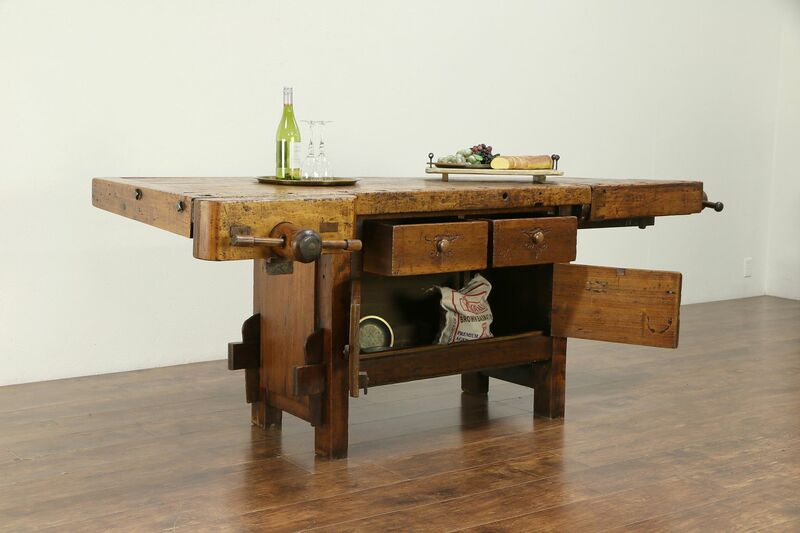 A carpenter's workbench from about 1880 was hand crafted, and could be used as a rustic wine and cheese table or kitchen island. 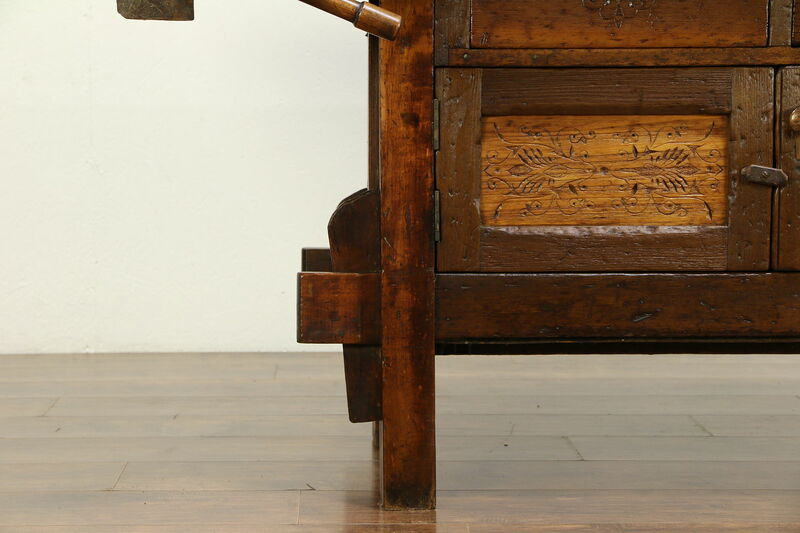 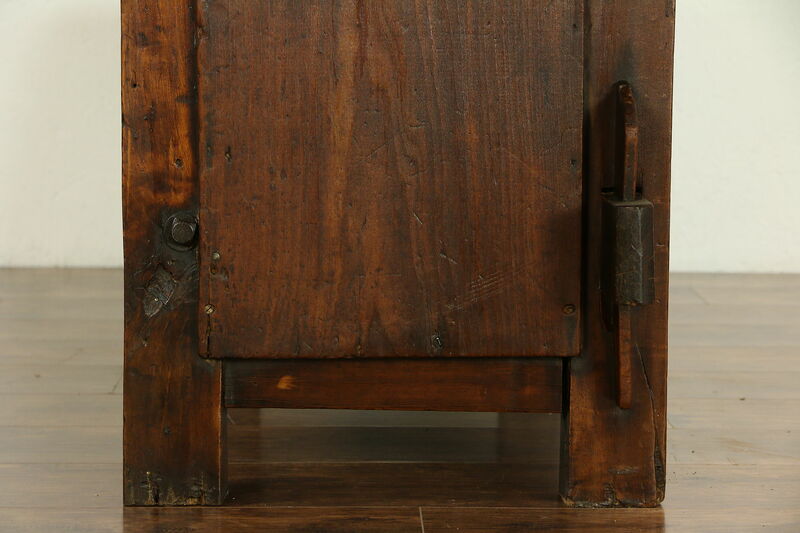 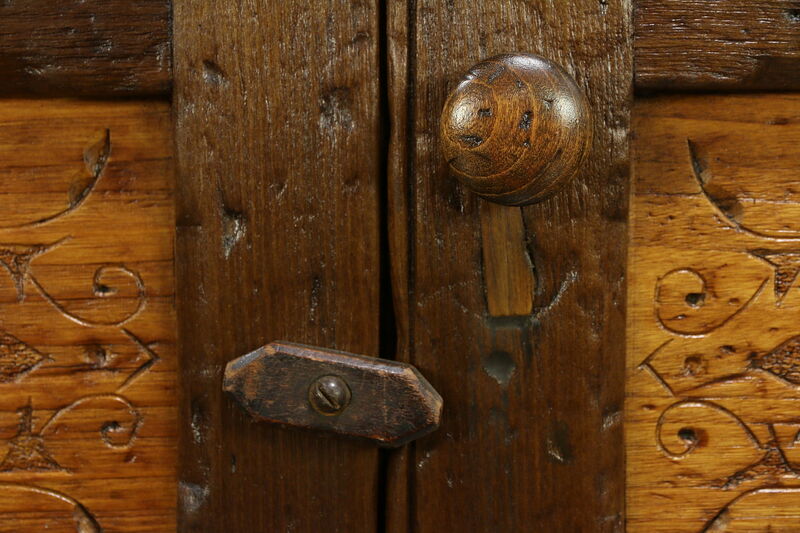 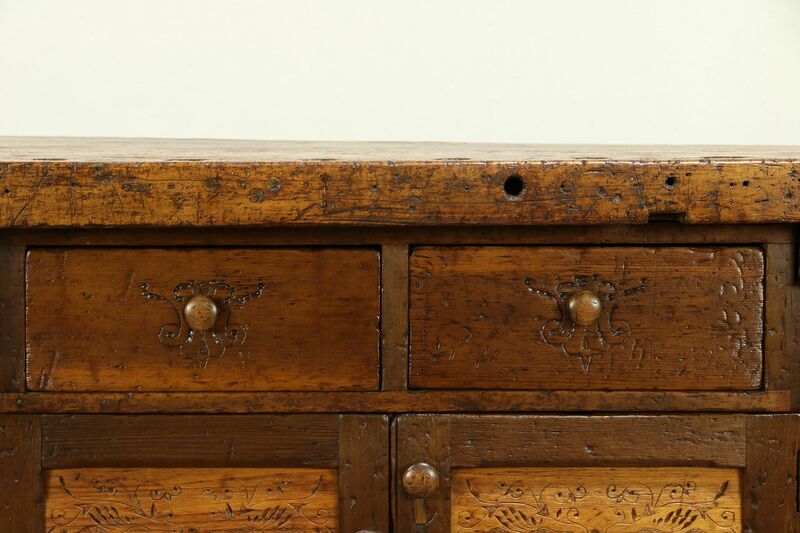 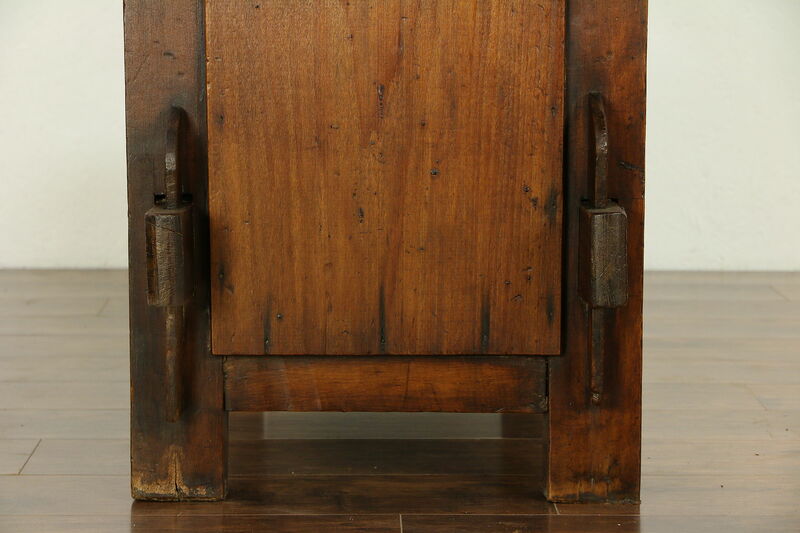 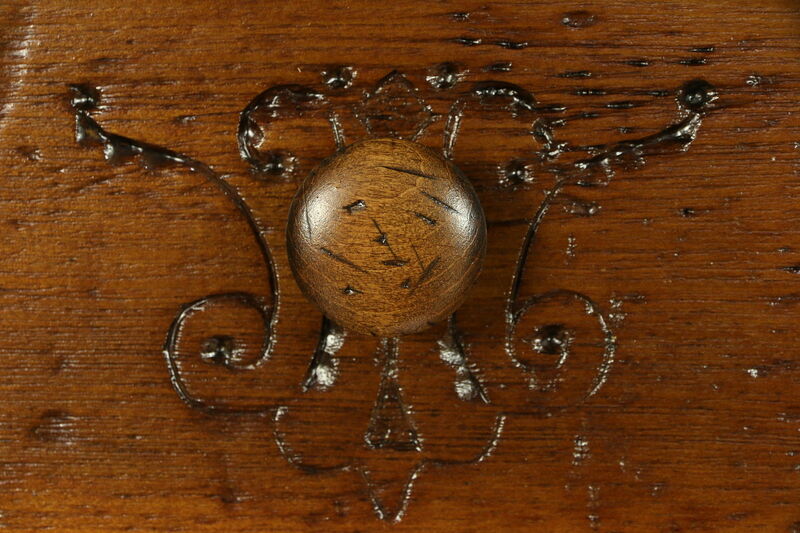 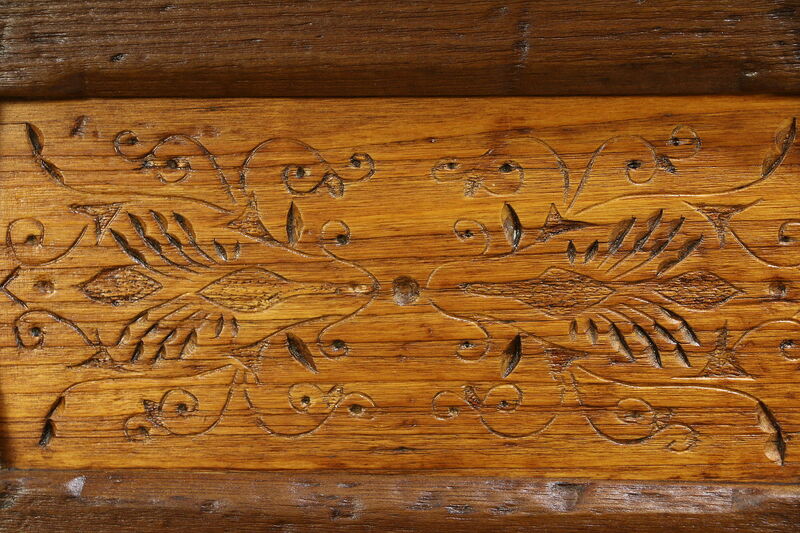 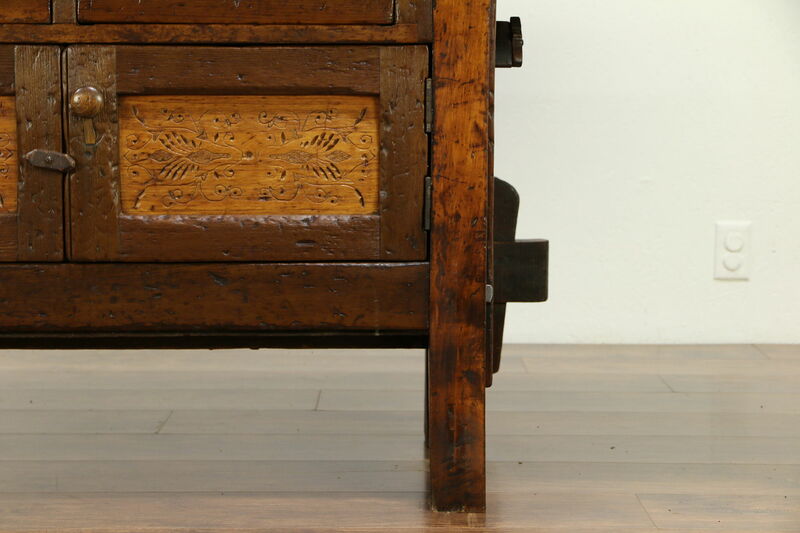 Solid maple and ash hardwoods, the drawers and doors have incised chip or "spoon" carving of the era. 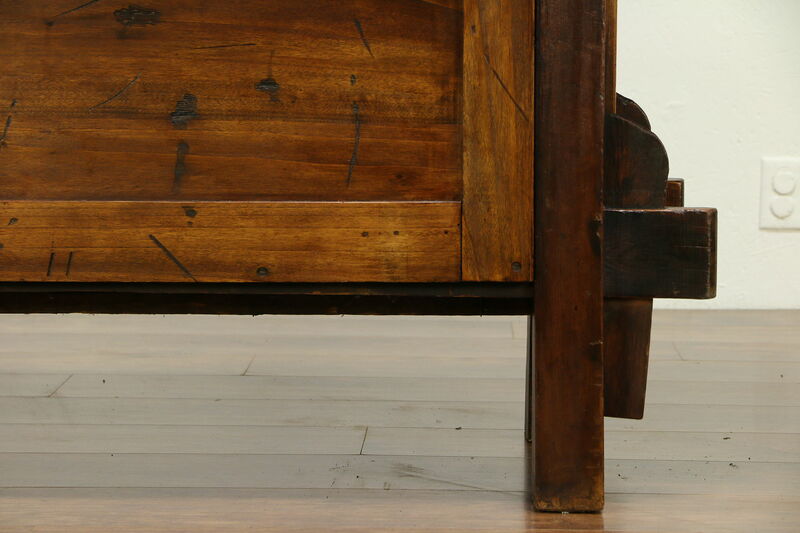 The base has exposed mortise and tenon joints. 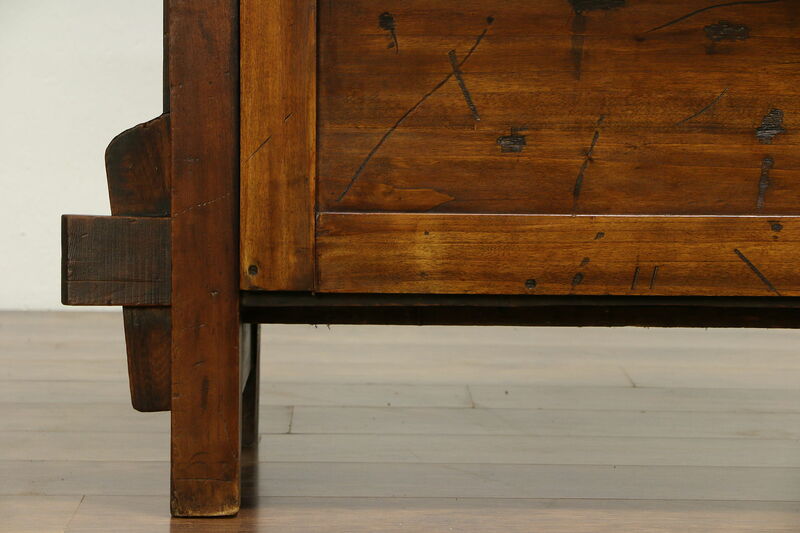 The restored finish is in excellent condition with warm patina, preserving loads of mars, stains, losses and old repairs for antique character, see photos. 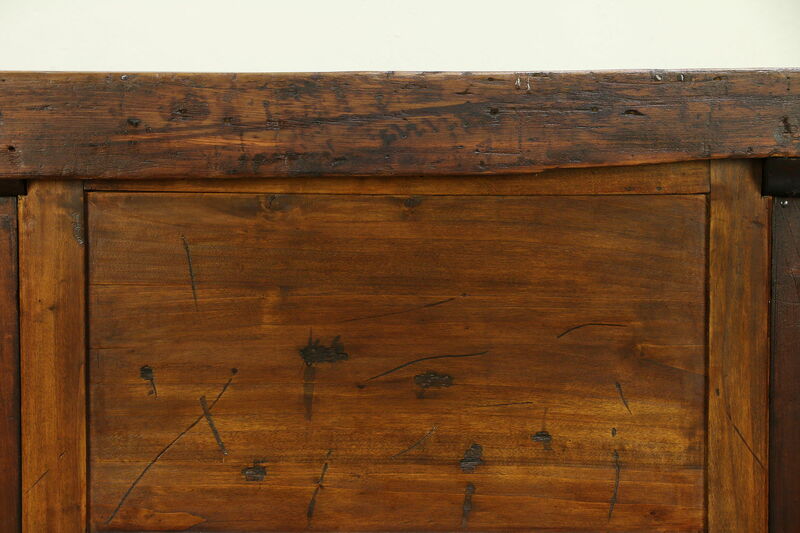 There are warps or twists to the top from age as shown. 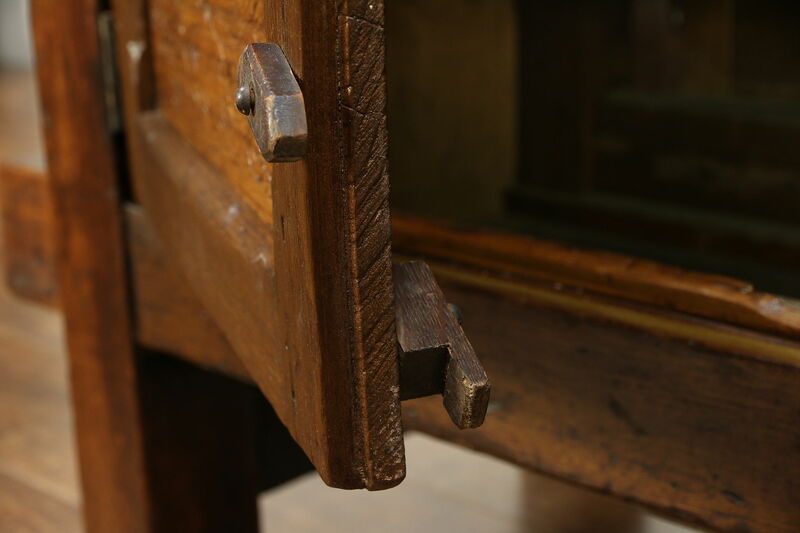 Square holes are for pegs to secure woodworking projects. 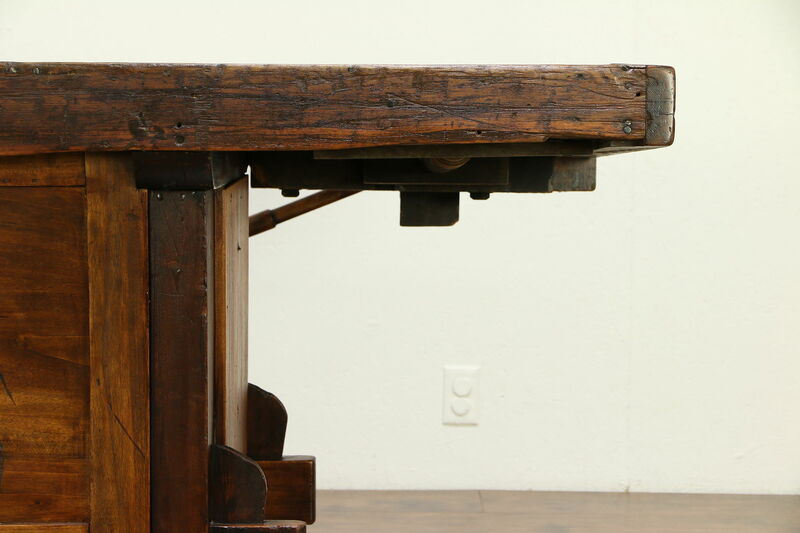 The top lifts off the base for easier delivery. 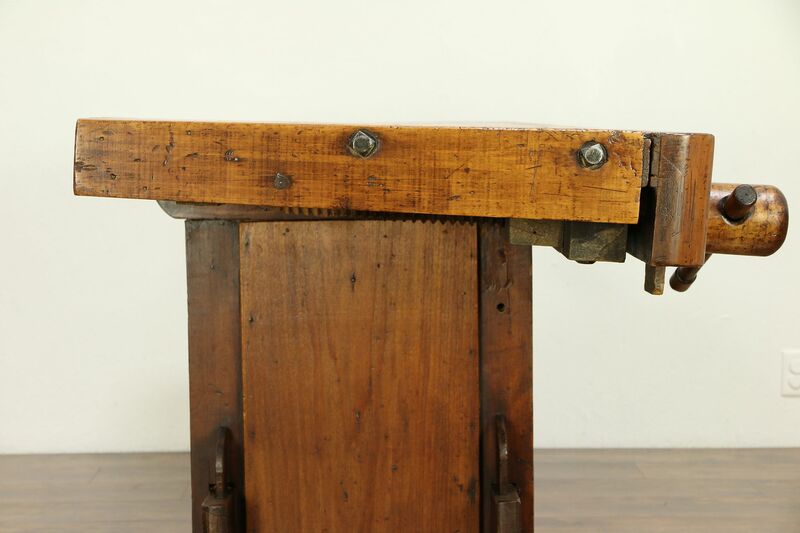 Two giant wooden screws operate clamps or vises for woodworking projects. 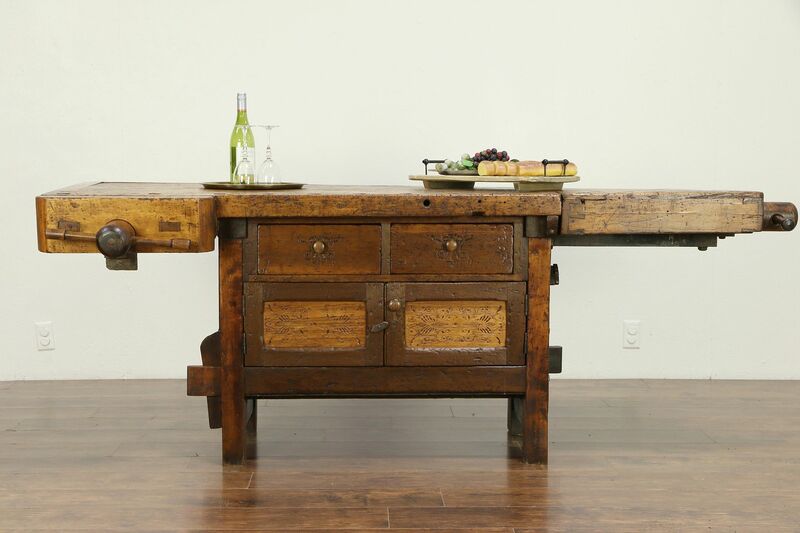 American made, this rugged furniture has a very substantial look. 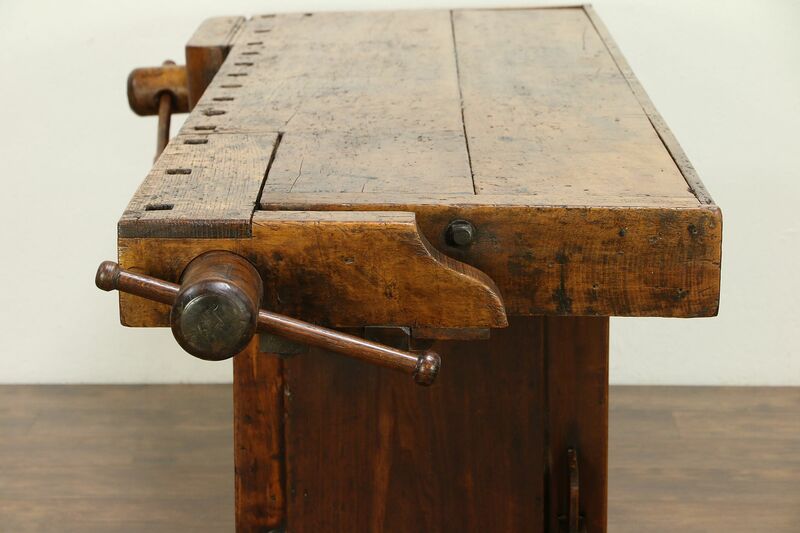 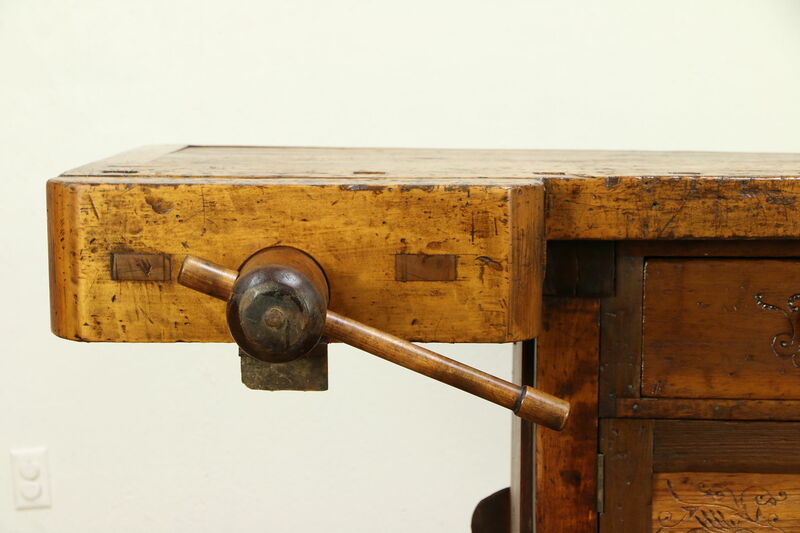 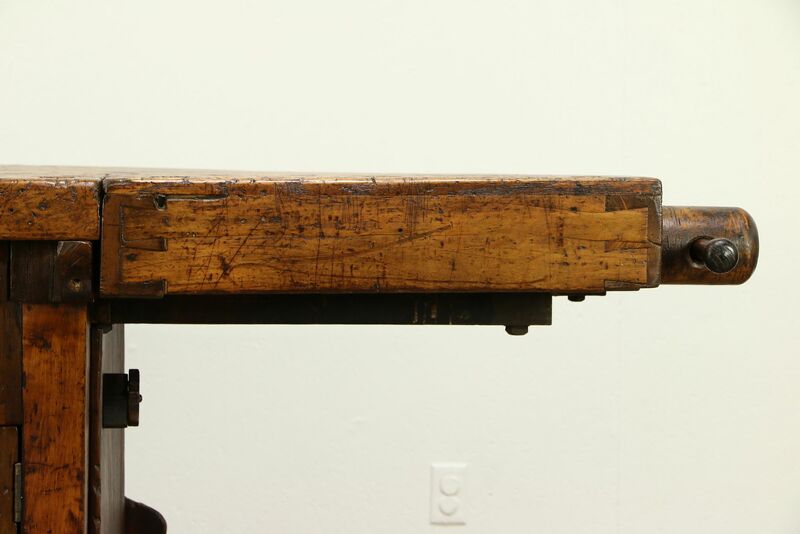 Measurements are 89" long including the vise clamp, 35" wide including the clamp and 26" wide without and 33" tall.